In Diagnostic Neuroradiology, my special areas of interest are brain and spine tumors, neurodegenerative, inflammatory and vascular pathologies. I have extensive experience in reading films, including advanced techniques such as perfusion studies. In Interventional Neuroradiology, I have extensive experience in treating brain and spine aneurysms, arteriovenous malformations, and fistulas. I also have experience in dealing with carotid stenosis and with head and neck low flow vascular malformations / hemangiomas. 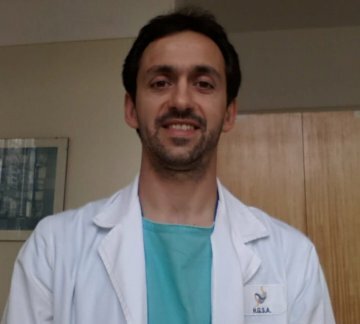 I have performed the first endovascular treatments for aneurysms and AV fistulas at the Madeira island, Portugal. I've been a lecturer in many congresses and courses.